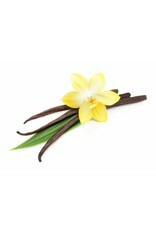 Sultry, fragrant Tahitian vanilla beans are married with our aged balsamic condimento. The resulting collaboration is intoxicating as it is exotic. Notes: Try with fresh strawberries or drizzled over a warm brownie. Pair with our Fused Blood Orange Olive Oil.